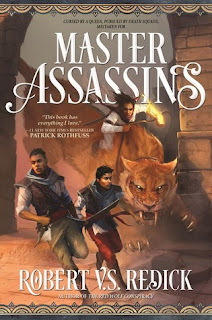 Master Assassins is the start of a fantasy series by Robert V.S. Redick. There’s a lot of heart in it – bloody, raw, messy story, one which rewards in depth investigation, but also provides the visceral impact of fire, blood and high-stakes terror. The centre of the story are a pair of half-siblings, Kandri and Mektu. Kandri acts as the narrator, and our eye into the world. He is thoughtful, conflicted, and a romantic. As a man struggling with the results of his first great love, and with an ongoing rivalry with Mektu, the fault lines in his character are clear. Those lined are blurred by Kandris’ clear affection for his sibling, the shared experience, the shared pain which brings them together. Kandri is analytical, often afraid, but still someone to act opportunistically when required. Mektu, his half-brother, is something else. There is an individual who can talk. An extrovert without limits. Willing to chat the hind legs off of a donkey, or the sword out of someone’s hand before he cracks them over the head. But that gab is balanced by an impulsiveness, a desire to say the funny thing, rather than the smart thing. Mektu carries a one which rocks the boat, which accepts the restrains of authority only reluctantly. Mektu is the imp of the perverse, a man designed to outrage, who doesn’t always think far enough ahead to see the consequences of his choices. It's a complex pairing, a head-and-heart duo, whose relationship is often more than a little fraught. They’re tied together by a complex bond of blood and loyalty, and of past shared experiences which are slowly unfurled over the course of the text. In this they’re assisted by an ensemble cast – ranging from their distant, mysterious father, through the quietly menacing and clearly barking mad Prophet who has led their people out of slavery, through a young soldier struggling with her experiences of violence, to the fanatical warriors of the Prohet’s religion, and the cold-hearted pragmatists fighting against them. As in reality, no-one here is just one thing, just vile, just a saint. No, they’re a swirling mass of contradictions, large and small, each a nuanced portrayal of an individual. That’s helped by the world, of course. Redick shows us a continent wrapped in dysfunction and conflict after being quarantined by the rest of the world. It’s inward looking by necessity, a seething cauldron of political relationships, warfare and blood. We gain a sense of history too, of the old wrongs that shaped this world into its current, rather terrible state. And while religious wars play out, there’s a great many wonders on display around them. There’s a shattered salt pan of a desert, made when the sea which used to inhabit it was ‘stolen’. The winds ripping through the dunes, and the towering, twisted spires which once were islands are sights to inspire and awe. Then there’s the city on the edge of the sea, a broken-down metropolis run by an autocrat. This is a world whose sights feel real, where military camps and small farming communities and sweeping deserts are all realised with the same vivid intensity, in a world which manages to feel viscerally alive. The story – well, that would be telling. But watching the dynamic duo as they scrabble to escape the many, many people who want them dead is a delight. The story begins as a bit of a slow burn, but catches fire by the halfway mark, leaving me rapidly turning pages trying to work out what happened next. There’s some great stuff in here; the exploration of the brother’s relationship is thoughtful, nuanced and sometimes raw and painful, but feels genuine. The splashes of magic and the supernatural scattered throughout add some sparkle, and their rarity increases their impact. There’s a not-small order of battles and some seriously well-crafted and kinetic fight scenes as well. Overall, this is a work of intelligent, layered fantasy which will likely reward multiple reads; definitely worth a look. City Of Lies is about a great many things: Poison, politics, the moral and ethical obligations a society ha to those working within it, the quality of friendships and, er, more poison. The slow-burn narrative captured by attention and didn’t let it go, and the world drawn showed a marvellous depth of imagination; given this is Sam Hawke’s debut, the series it begins is off to a very strong start. The story explores themes of the dichotomy and conflict between the urban and country as well; much of the text takes place within a sprawling city regarded (at least by its rulers) as a centre of socio-cultural enlightenment. A council of well-heeled nobles rules, and dispenses justice and economic largesse to their populace. The people have access to education, and guilds exist to allow the talented to make something of themselves. Or so the story goes. Things are, as ever, not that simple. The governance, the beneficence, the economy, the social inclusivity of a ruling elite from a different background to the remainder of their population – all are, at the very least, on tenuous ground. Perhaps the largest fib in City Of Lies is the city itself – or at least the ideals it’s founded upon. The story isn’t afraid to use its characters to explore flawed assumptions, to question the sacred cows which this society has built, and to deconstruct them, block by block. The occasional murder is thrown in, too. The city is glorious, in its way, in the evocation of the ideals it tries to match, even where it falls short. And in being a thriving metropolis of broken walls and soaring bridges, a living proof that co-operation and harmony can have positive results. That this is, if not a lie, at least contemporaneously somewhat wishful thinking, doesn’t give this world any less of a heart. There’s so much social complexity at work here – agricultural workers struggling with urban rentiers, representatives trying to create new guilds to allow people to earn a living in different ways, armies on the march – it’s breathtaking. It’s a lot to take in, but it sneaks up on you. Over the course of the book, the city will get under your skin – much like the poisons described at the start of a chapter. If the world is fascinating, the characters are equally compelling. The heart of the book is friendships, and family ties – between a young aristocrat with an important role in government, his equally aristocratic friend, whose duty it is to ‘proof’ substances as a protection from poison, and the proofer’s sister, who, chronically ill, carries affection for them both. They’re an odd lot, these three, but their unbending faith in each other is the pole star of the narrative, and once which makes it an absolute joy to read. While we’re looking at the deeper themes of the text, while we’re looking at social inequalities writ small and large, or the minutiae of politics, or actual poisonings, or duels, or battles, the emotional resonance of this triad glues the text together. The relationship of the three protagonists carries the warmth and depth of genuine friendship, of duty embraced with mutual affection. It’s a delight to see such friendships celebrated, and the positive nature of the emotions in no way decries their honesty and the truthful heft that they lend to the story. It’s what gives the book heart. This is helped, in some ways, by the villains – such as they are. For the antagonist here is a mystery – sowing disruption and lethal toxins from the shadows. Each character is thus a challenge; each pampered aristocrat could be wearing a mask, each Order-Keeper patrolling the streets a potential quisling. To the author’s credit, each of the ensemble around our central group feels like an individual. Petty, spiteful individuals, sure. Duty-driven and socially suspect, absolutely. Acidic and unforgiving of the pride of the City? No question. But each has a distinct voice, and each carries a personal opacity which makes them more or less of a threat. Each smile may mask a villain – but of course, a scowl can too. If the City is founded on principles which may be undermined where they intersect with reality, the people withi the city are also cloaked in smaller, pettier lies – and in this, and in their efforts to be more or less than themselves, they’re thoroughly believable, and very human. The plot is a complex web of mystery, focused, perhaps unsurprisingly, on lies, subterfuge, and poison. Each paragraph is a test of nerve, waiting to see if a silent murder has occurred. Each sentence carries a slow burning tension, perhaps akin to waiting for an antidote. 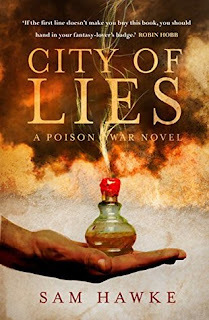 I won’t get into it here, but suffice to say that City Of Lies has a lot going on. There’s enough byzantine factional politics for anyone, and if that’s not your jam, there’s more than a little swordplay and siegecraft as well. 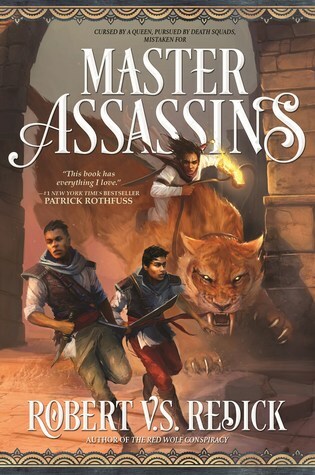 There is some magic floating around in the background, quietly understated, but it doesn’t feel like a focus for much of the book – that focus is on the characters, on our trio and on their efforts to investigate a mystery and thus hopefully not die trying. The gently bubbling, seeping tension left me turning pages late into the night, and the tightly woven relationship between the central characters kept me turning them until morning. With that in mind, I’d recommend City Of Lies. It’s a vividly imagined, cunningly crafted debut, and an excellent read. 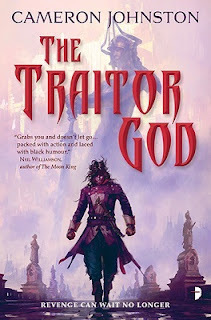 The Traitor God is a debut fantasy from Cameron Johnston. It’s a cynical, dark, bloody tale, with flashes of hope, and some terrifying and spectacular magic, in a vivid, well realised world. Speaking of the world: it’s a wonderfully strange, terrifying place. Magic courses through the blood of a social elite, one which struggles to empathise with or indeed even think about the majority of the populace. The magicians have lifespans extended by their magic, and their powers extend from incinerating everything in a wide radius to control of water, or even superhuman strength and endurance. Those who can control magic are rulers, whose length of life leads them to slough off emotional attachment over time. As a consequence, they tend to be ruthless, pragmatic, and, broadly speaking, not overly nice people. It doesn’t help that using magic is addictive and comes with side-effects, driving practitioners further away from their humanity every time they exercise it. These are the oligarchs of a failing empire, ensconced in power and privilege, and either unaffected by or unwilling to embrace a changing world. Still, their personal power is considerable, and if their empire no longer shapes the world, its capital is a thriving metropolis, seething with commerce and vice. The book isn’t shy about exploring the themes of power and accountability, examining the kind of decisions which can be made when absolute power is assured, and the compromises of judgment necessary to reach that level – and whether or not those compromises are justified. Anyway, this is a world of demons and creeping, corrosive magic, which is willing to provide great power in return for a slow and inevitable cost. There’s a lot being unpacked here – a city in decay, an empire indecline, an oligarchy in thrall to their own legend. There’s external factors too – murderous others, and hints of a geopolitical situation which is very far from under control. This is a tightly written, believable world, one which will make you sit up and take notice. It’s not pretty, by any means, but it’ll seep off the page and into your pores. Into this rather turbulent space steps Edrin Walker. Walker is a man with demons, both figuratively and rather more physically. Walker isn’t what one would generally think of as a hero. He’s quick witted, sure, but also bitter. This tends to manifest as scathing sarcasm and a penchant for running his mouth when he shouldn’t. The words are razors, and you can feel an edge lurking in everything Edrin says. That said, it’s hard not to feel for a man who speaks the unpalatable truth to power. It helps that despite (or perhaps because of) this tendency to talk big, Walker is also ruthless and pragmatic – willing to leave acquaintances behind if need be, or to threaten, to maim, to kill. That said, this bubbling spring of violence is channelled in service to his goals. Walker also realises his own flaws. Understanding his lack of compassion, knowing that magic has broken something inside of him, he struggles to hold on to his humanity, while being appalled at the actions and careless disdain of greater monsters than he. Walker is complicated. Walker is more than a little broken. Walker is scarred, emotionally and physically, by his past – and despite that, if he’s not trying to do the right thing, exactly, he’s at least not actively trying to do the wrong thing. In this effort Walker is assisted by friends who are at least as strange as he is. From all walks of life, they seem to share a certain no-nonsense attitude to problem solving, and a more positive view of the protagonist than he has of himself. In his friendships we see facets of Walker less evident in the man we have before us – a more compassionate, friendlier individual (albeit one with a penchant for acerbic remarks), perhaps one with less to lose. This is Walker’s book, but the ensemble around him is built of well-rounded, believable characters, acting on their own agenda’s. I would have liked to see more of some of them, to be sure; for example, Walker’s oldest friend and her daughter make great foils for our lead, but seem to be straining at the seams of their scenes, trying to take over the stage. That said, they have a surfeit of competence and agency, and tightly written, believable and complex characterisation – so if I want to see more, it’s only a good thing. The plot? Well, it’s a story of blood, betrayal and despair. It’s also a mystery, as Walker tries to piece together exactly why so many people are trying to kill him. I mean, some of it is because he has a habit of smarting off to authority, but not all of it. There’s a strong strand of noir running through the narrative, and thematically some strong beats on love, friendship and loss which hit like a punch in the gut. It’s emotionally riveting, complex work, a story that ties its character’s reconstruction to the slow revelation of the mysteries at the heart of the plot. It’s…also got a lot of demons, mad wizards, thoroughly explosive magic, and smart-arse remarks. There’s banter, the occasional stabbing, chases, dramatic betrayals…really, something for everyone. It snappy, tautly written prose kept me turning pages until far too late in the night. 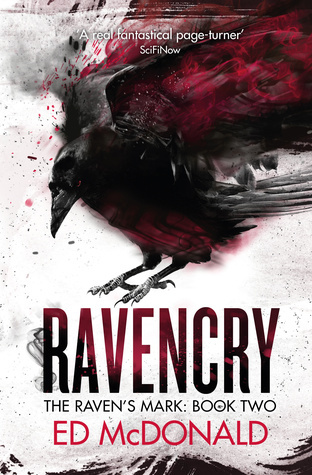 It’s a cracking debut, and if you want a well done dose of fantasy-noir, this one’s for you.